Fiddling for Norway is an engrossing portrait of a fiddle-based folk revival in Norway, one that in many ways parallels contemporary folk institutions and festivals throughout the world, including American fiddling. It is a detailed case study in the politics of culture, the causes and purposes of folk revivals, and the cultivation of music to define identity. 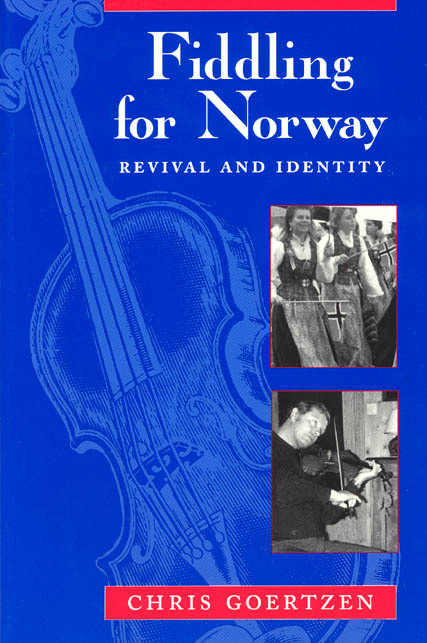 The book begins with an investigation of the people and events important to Norwegian folk fiddling, tracing the history of Norwegian folk music and the growth and diversification of the folk music revival. The narrative takes us to fiddle clubs, concerts and competitions on the local, regional, and national levels, and shows how conflicting emphases—local vs. national identity, tradition vs. aesthetic qualities—continue to transform Norwegian folk music. Goertzen utilizes a large anthology of meticulously transcribed tunes to illustrate personal and regional repertoires, aspects of performance practice, melodic gesture and form, and tune relationships. Ethnomusicologists and readers who fiddle will enjoy both the music and the stories it tells.